Do hackers have it (Just)in for singer? Not content with trying to fix it for Justin Bieber to play in North Korea, mischief makers from an online community have apparently used an exploit to tinker with the teeny-bopper's YouTube videos. According to thenextweb, people accessing videos of the floppy haired Canadian were in some cases served with a pop up suggesting that he had died, and in others redirected to explicit websites. 4chan users have been linked to the attacks, which apparently involved using malformed HTML to get past the normal checks on YouTube comments. Google-owned YouTube has, of course, responded rapidly to the problem and is working on the vulnerability. 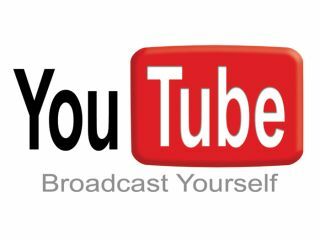 "We took swift action to fix a cross-site scripting (XSS) vulnerability on youtube.com that was discovered several hours ago," said the company in a statement. "Comments were temporarily hidden by default within an hour, and we released a complete fix for the issue in about two hours. "We're continuing to study the vulnerability to help prevent similar issues in the future." Bieber, who Wikipedia informs us is a 16-year-old pop R&B singer, apparently rose to prominence after being spotted by a talent spot on YouTube. The internet giveth, the internet taketh away.